Murphy was removed from the crew on troop train at Boston, MA due to a severe nose bleed. (KIA-POW-EVD) 28 June 1944 mission #193 to Juvincourt, France in 427BS B-17G #42-31200 Old Crow (GN-V). Hit by flak between the fuselage and the #3 engine over Laon France at 0836 hours. The wing caught fire and six parachutes were spotted. 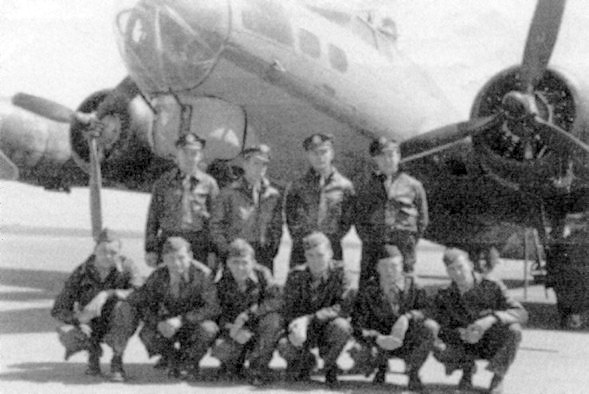 The B-17 made a 180 degree turn, nosed over, and started down in a dive. At about 4,000 feet it disintegrated in the air.